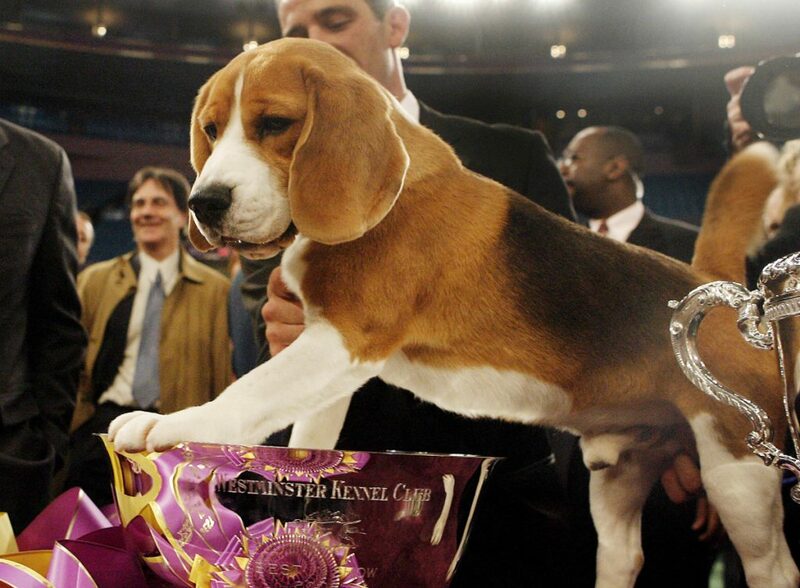 No beagle had won the prestigious Westminster Kennel Club dog show until Uno did in 2008. From a president to parades to ballparks, Uno charmed admirers wherever he went. Uno died Thursday at the 200-acre ranch where he lived in Austin, Texas. He was in good health until the last month or so when cancer advanced. “Everybody loved him,” said Dan Huebner, who manages the ranch for Uno owner Caroline Dowell. No beagle had won the prestigious Westminster Kennel Club dog show until Uno did good ol’ Snoopy proud, barking his way to the prized silver bowl in 2008. He was clearly the crowd favorite and fans exulted when he was picked, giving the 15-inch champ a standing ovation.